[Updated at 5:19 p.m. ET] You can read full coverage of the guilty verdict in the Drew Peterson trial here. [Updated at 4:57 p.m. ET] Will County State’s Attorney James Glasgow told reporters that the journey to a guilty verdict has been a long one and he is confident it will stand against an appeal. "This is a very sobering moment. I want to thank the jury," he said. "Their verdict is a transcendental one and makes a statement against violence against women." Glasgow said that Peterson's actions represented a growing problem in the country. "The defendant in this case was a coward and a bully," he said. Glasgow said they have to catch their breath and then they will review evidence "aggressively" in the disappearance of Stacy Peterson. He told reporters that Peterson's attitude as someone who was untouchable because of his badge and his gun led him to believe nobody would ever take him on. "We took him on and we won," he said. "This defendant brutally killed Kathleen Savio." [Updated at 4:53 p.m. ET] Will County Sheriff's Office Deputy Chief Ken Kaupas came out of the courthouse to read a statement from the jury. The jurors thanked the court, the judge, the bailiffs and the sheriff's office and said they took their responsibility seriously. "We have reached a decision we believe is just," the jurors said according to the statement. [Updated at 4:35 p.m. ET] Drew Peterson's lawyer said they faced an uphill battle going into the trial and they will begin appealing the case soon. “It was a stacked deck,” attorney Joel Brodsky said, referring to hearsay evidence that he didn’t believe should have been allowed in. "You know what they say, a conviction is the first step in a successful appeal," Brodsky said. Brodsky said he still believed that Peterson was completely innocent of the charges. "This case was based almost entirely on hearsay," he said, adding that there was never a case with more issues for appeal than Peterson's. "There’s a reason why for hundreds of years its been excluded." Brodsky added that the atmosphere around the courthouse, continuous cheers, showed that there was a large amount of bias before the trial even began. "When somebody is unpopular and going through a divorce… and people coming out of the woodwork … what are you going to do," he said. Brodsky said that earlier he had spoken with Drew Peterson who said that whatever the verdict was, he was glad with how his lawyers did. "He thanked us for our service," Brodsky said. "Drew is absolutely fine." [Updated at 4:24 p.m. ET] Stacy Peterson's sister told reporters that she was numb after Drew Peterson was found guilty of murdering Kathleen Savio. "It hasn't really hit me yet," Cassandra Cales said. She said that as Peterson heard the words guilty, the only thing she could think was "Game over, Drew." Cales said that searches for her sister, who has been missing since 2007, are still going strong. She hoped this guilty verdict might be the first step towards justice for Stacy. "Drew’s put away, maybe someone will come forward who knows something about my sister, that they feel safe to talk now," she said. Cales said that she always feels her sister's spirit around her and she felt it today in the courtroom. "I love you and I miss you and I'm never going to give up on finding you," Cales said, when she was asked what she would say to her sister if she could. "Today we finally got what we wanted," Michael Lisak told reporters. Lisak said he was worried up until the very moment the verdict was announced. He hopes the verdict will help bring hope to other women. "Today is a day for battered women. My aunt's voice was heard through the grave," Lisak said. "She did not stop after she was murdered. For all you battered women out there, don’t stop, someone will listen." [Updated at 4:07 p.m. ET] Pamela Bosco, a spokesperson for the family of Drew Peterson's missing wife Stacy, said that hearing the guilty verdict was something she had waited a long time for. "This man always thought he’d get away with it. I don’t think he ever faced reality," she said. "Today he’s facing reality. He’ll never see the outside of a prison wall." Bosco said she thought that Peterson's actions during the verdict - blank stares towards the jury - showed how shocked he was. Bosco said she always believed Peterson would be found guilty in Kathleen Savio's murder, but hearing those words were another thing. She said she expects Peterson to be indicted for the disappearance of Stacy Peterson soon. "No matter what he still has to pay the price for Stacy," she said. [Updated at 3:58 p.m. ET] Kathleen Savio's half-brother called the guilty verdict a "bittersweet moment" for his family. "I’ll never have my sister again," Nicholas Savio said in front of the courthouse. "At least I know she got justice." Nicholas Savio said that while he was upset that Kathleen Savio is no longer around, "we hope she can rest in peace." He then vowed that there was more work to be done to bring justice for Drew Peterson's missing wife. "Stacy, you are now next for justice," Nicholas Savio shouted. [Updated at 3:46 p.m. ET] An Illinois jury on Thursday found former Chicago-area police sergeant Drew Peterson guilty of murder in the 2004 death of his ex-wife. "Finally somebody heard Kathleen's cry," her mother, Marcia Savio, told reporters after the verdict. [Posted at 3:36 p.m. 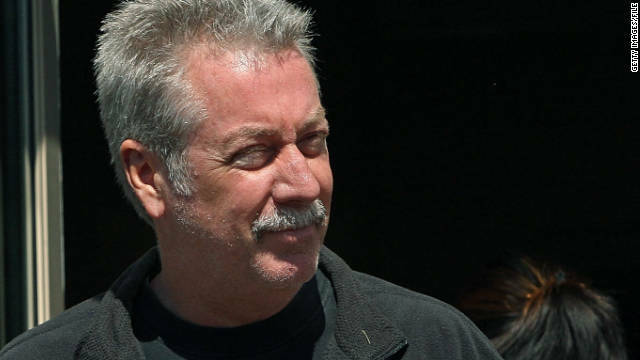 ET] The jury in the murder trial of Drew Peterson, a former Chicago-area police sergeant accused of killing his ex-wife, has reached a verdict after deliberating for nearly 14 hours total. The headline-grabbing case did not arise until after Peterson's fourth wife, Stacy, disappeared in October 2007. It was during the search for Stacy Peterson, who has not been found, that investigators said they would look again at Savio's death, which was initially ruled a drowning. Savio's death was ruled a homicide in February 2008, and Peterson was later arrested and indicted on two charges of first-degree murder. But during Judge Edward Burmila's instructions to the jury, he told them there was now one count. Bolingbrook, Illinois, police records indicate officers were called to Savio's home 18 times to intervene in domestic fights from 2002 to 2004. Peterson had Savio arrested twice for domestic violence, though she was found not guilty in both cases. On February 27, 2004, Peterson picked up his two sons from Savio's home and spent the next two days with them. Prosecutors said he entered her home again early on February 29 and killed her. At the time of her death, which authorities initially treated as an accident, a court was mulling how the couple's marital assets would be divided, and Savio was set to receive part of Peterson's pension and other support. His defense team thought they had it all wrapped up yesterday morning. The joke is on them. I dont know why everyone is down on Peterson. This trial is a travesty of justice. There was NO PROOF of anything. The Prosecution and the Jurors admit that the entire trial was based on hearsay. Just think, if this verdict holds up in the appeals court, I or anyone else can make up stuff about you and get everyone into a frenzy and find you guilty. This is not the American way. Peterson will be found NOT GUILTY at a real trial. Definitely don't agree with this verdict...hearsay is not proof...yes he is arrogant..yes he probably did it...but probably did it based on what people say isn't enough to find guilty..the only thing this proves is that the jury didn't look at facts and facts only...it's easy to not like this guy by how he carries himself and as much as a lot of people hate it he has the right to come across the way he does and that does not mean he has committed murder. unless their is fact based physical evidence that proves it he should be walking..if we put evryone we wanted to because of a hunch and we don't like that person how fai would that be? ?